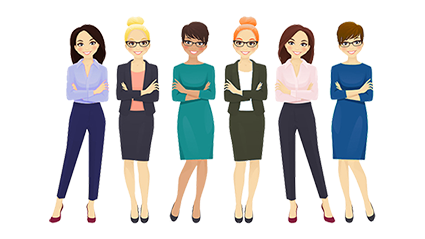 Events organized to encourage female undergraduates, PhD students and Postdocs to consider an academic or industrial career. 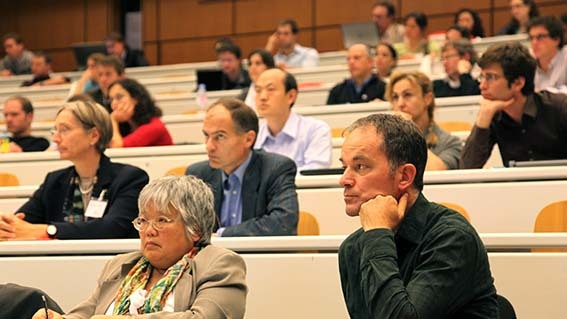 MATH WORKSHOPS "Maths en jeu"
The Promotion-of-Science-Office from EPFL, organized 4 sessions of 12 weeks (1 hour/week) throughout the year, reaching out a total of 84 participants during 2010. Aimed at young boys and girls, these courses want to specifically encourage young girls to go further in the mathematics and scientific fields. Indeed, if girls and boys start off equal in mathematics performance and interest in school, girls remain less confident about their competences, therefore putting aside scientific fields later in their studies. 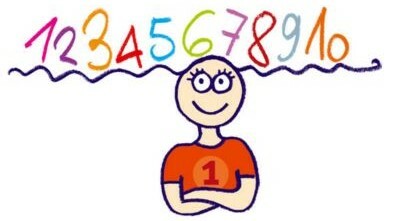 These workshops want to make youngsters discover mathematics from a common sense point of view. The subject is not presented as a hindrance but as a useful tool for a future scientific career. 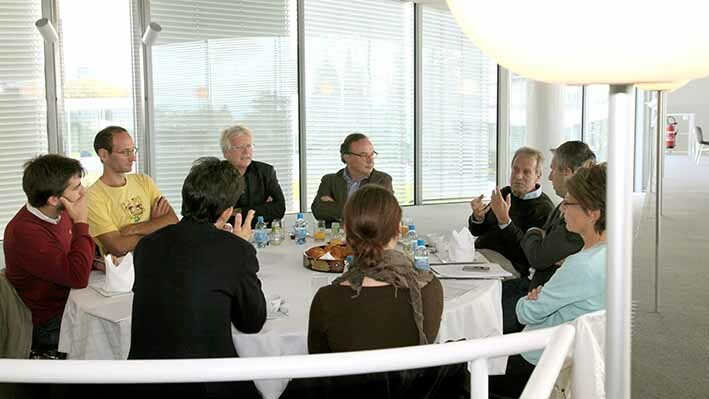 Pierre Magistretti, Dominique Muller, François Ansermet and Patrice Guex were present to introduce Synapsy to members of the Press invited for breakfast. 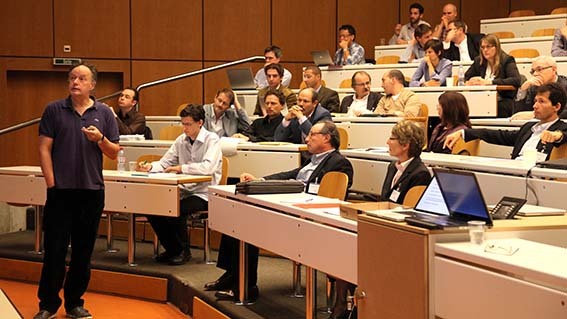 The invitation was sent to all Synapsy members as well as scientists of the Lemanic area. Around 100 people attended the meeting. 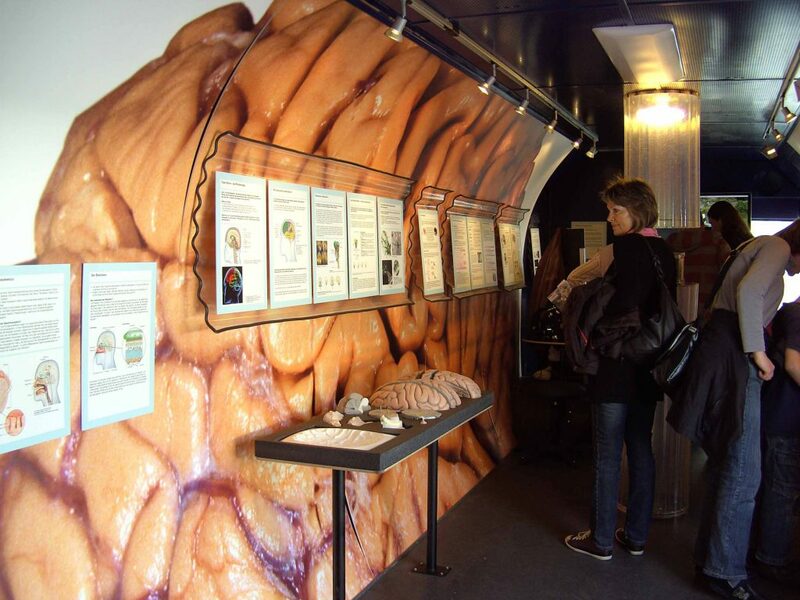 The Brain Bus is a traveling exhibit about the brain and its functions. 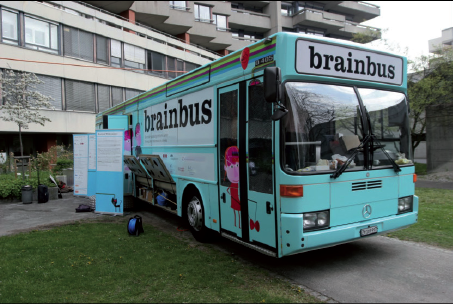 The bus is equipped with multimedia presentations, films, models, experiences, video games and quizzes, explaining how the brain works. 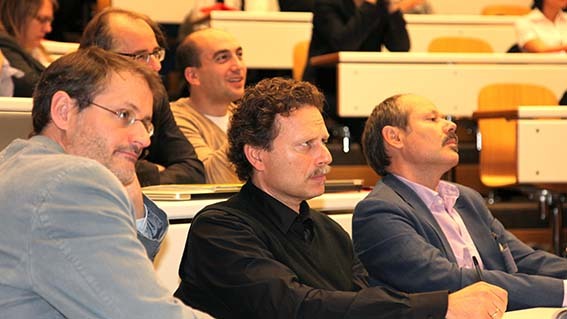 Synapsy’s project leaders and the management team attended this first meeting held in May at EPFL. Discussions on the practical modalities of Synapsy, the budget, Synapsy-related events as well as other organizational points were initiated. All took an active part in preparing the Synapsy’s visual identity and the result (our logo) has been from reflections between the management team and a design agency. The logo represents the close relation between brain research and psychiatry, while the word SYNAPSY speaks for itself. 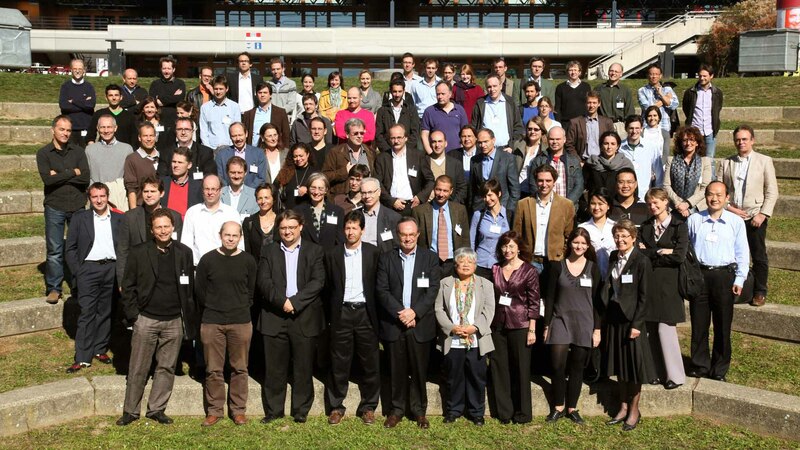 The motto: “bringing together brain research and psychiatry” underlines the goal of Synapsy to support a translational initiative, neuroscience-based psychiatry, bridging multiple levels of analyses and investigating mental and cognitive issues. The website will provide all necessary information to Synapsy members for a consistent use of name, logo, ppt presentations.